Comments: This maple is native to Southeastern Europe and Asia. Named for the Tatar people of Russia. Leaves have three to five lobes and are especially colorful (mixed red and yellow) in autumn. 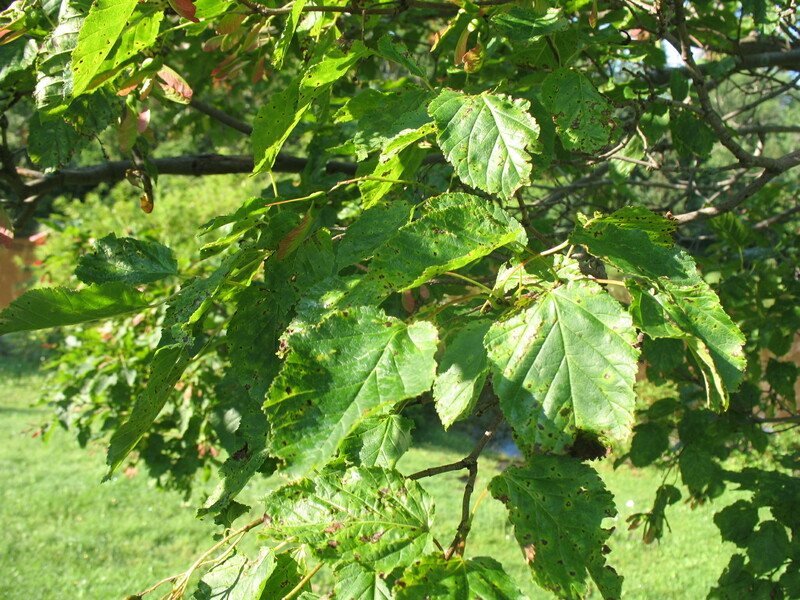 Leaves on a mature tree of less lobed than those on young trees. Flowers and winged fruit can be somewhat ornamental on the relatively small growing tree.